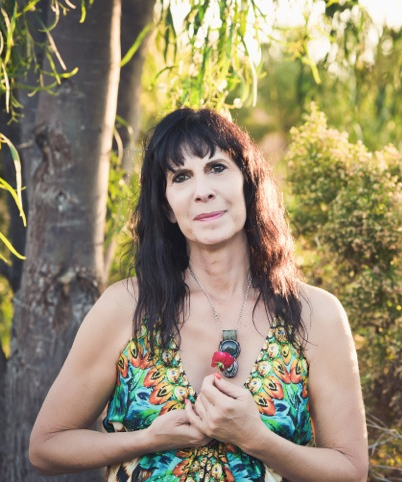 ROBIN JILLIAN is host of Awaken Radio and the Author of the deeply intimate and spiritually charged memoir Hugging Trees in the Dark (Finding the Courage to Free the Heart). She is also an evolutionary astrologer, which brought her in touch with the necessary growth and evolution of the soul’s purpose. An entrepreneur for over 35 years, she has empowered many to awaken to a new way of being, honoring their true authentic needs. Robin teaches that when it is time to wake up to who we truly are, we have no choice but to courageously answer the calling of our soul if we want to live a life of purpose and passion. She empowers others to know they are not alone when experiencing the terrifying but essential need to grow when hearing the inner voice to live from the fullness of your heart. When you experience the “Dark Night of the Soul” it can be the scariest time of your life, but through these difficult times you will go deeper into your soul’s true desires and discover the most important relationship in your life…the one you have with yourself. She will guide you with the questions that ignite deep self-inquiry, helping you to recognize that you too have the power to change your life. Visit Robin’s Blog or Medium.com page for writings & musings introducing her book Hugging Trees in the Dark (Finding the Courage to Free the Heart) – Available now on Amazon.